The doctors undertake small operations at the main surgery. Different doctors do varying types of minor surgery and your usual doctor may refer you to a different doctor at the surgery for a particular procedure to be undertaken.We have a number of practice leaflets available to advise you on post-operative care for the most commonly provided procedures. Patients must be seen by a doctor before booking a minor surgery appointment. 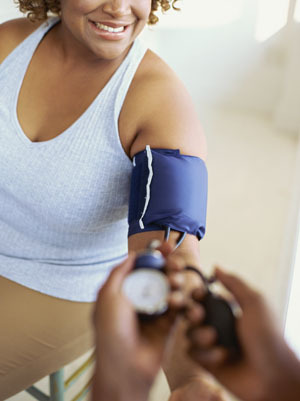 Blood pressure measurements can be undertaken by Donna, our health care assistant. 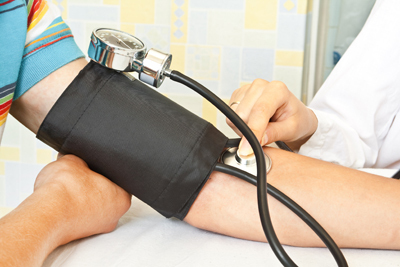 Unless your doctor has requested that you specifically see them for your check we would encourage you to visit our health care assistant or one of our nurses for your blood pressure check. If necessary they will involve a doctor or a nurse practitioner to make sure your blood pressure control is as good as possible. Our surgery midwives run antenatal clinics at Clarence Medical Centre. If you are pregnant your first port of call to arrange antenatal care is your doctor, who will assess your general health and past obstetric history in order to refer you for antenatal care. The degree to which other professionals such as obstetricians will be involved will depend upon your general health and your preference - many women with an uncomplicated pregnancy choose to have midwife only care. Your doctor will refer you to the midwives and they will contact you directly to attend your first antenatal appointment with them - called the 'booking visit'. Arrangements will be made for ultrasound scans and blood tests by the midwives and they will discuss these in detail with you. If you have had a difficult time with pregnancy previously or if you anticipate a difficult time then you are encouraged to contact your doctor as soon as you know that you are pregnant. Whilst some patients decide to have a home birth (after discussing it with their midwife) most of our patients choose to deliver at Glan Clwyd Hospital, and your midwife will help to coordinate your care there. You may be invited to hospital antenatal clinics at the Royal Alexandra Hospital, Glan Clwyd Hospital or HM Stanley Hospital depending upon your requirements. Your midwife will give you details of how to contact her when you first meet her. We have a dedicated Childrens Nurse Practitioner, Llinos Howatson, who specialises in the care of children. She runs clinics 4 days a week and can see children with minor illnesses as well as children with chronic conditions such as asthma. 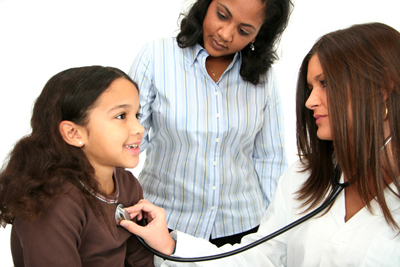 If necessary Llinos will refer children to a GP or to the local hospital services for further care. All children are eligible to be registered for Child Health Surveillance between birth and the age of 5 and we encourage the parents of all our eligible patients to agree to them being registered. Child Health Surveillance is a programme for monitoring children for possible developmental problems which may otherwise cause health problems if not picked up at an early stage. Examples include screening for hearing problems and speech delay. Llinos runs a baby clinic each week, which is where child health surveillance commonly starts. Your child will also have a health visitor who undertakes much of the child health surveillance work and is a useful source of information if you have any concerns about a young child. Effective contraception is not simply about preventing pregnancy - we try to educate our patients about the avoidance of sexually transmitted infections and general sexual health. Age is not a barrier to seeking contraceptive / sexual health advice. Your medical records are confidential and young patients should seek contraceptive advice if they are, or are thinking about becoming, sexually active. Contraceptive / sexual health advice is provided by our team of doctors and senior nurses. 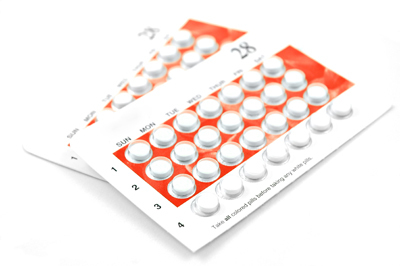 They can provide you with information to enable you to make the right contraception decisions for you. We also have a number of leaflets about contraception - please enquire at the surgery. Our Prescribing Team is available at the practice to answer any questions you may have about the medication we have prescribed for you. 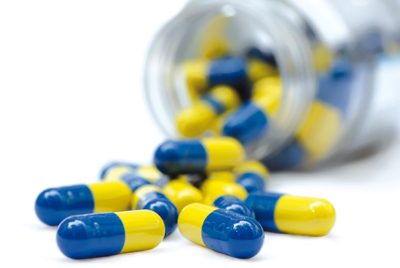 changing the name of the drug which appears on your prescription from brand-names to chemical names so that the NHS can dispense them from a wider range of suppliers. The active drug within the medication will remain exactly the same but may be obtainable for less money to the NHS than the branded drug. If you have any questions about your medication or about any changes we make to your medication you can contact our prescribing team directly at the surgery on 01745 333632. The warfarin clinic runs throughout the week at both surgeries. Regular INR blood tests are undertaken at both surgeries by our practice nurses, usually using finger-prick technology rather than by traditional blood tests. The results are available there and then so a warfarin dose can be calculated for you before you leave. Patients who are house-bound can have their blood tests undertaken by the district nurses. However, the district nursing service does not have the resources to be able to undertake blood tests at home for convenience in non-housebound patients. From 1st September 2013 Cervical Screening Wales have implemented policy changes to the age of first invitation for cervical screening and to the frequency of screening in women aged 50 - 64 years. Women born on or after 1st September 1993 will not be invited until the age of 24 years. All women should receive an invitation before their 25th birthday, in place of the previous age of 20 years. Women aged 50 years or over on or after 1st September 2013 who have a smear taken where normal recall is recommended will be invited again after 5 years in place of the previous 3 year recall. Cervical smears assess the general health of the cervix and can pick up cervical abnormalities which may otherwise progress into cervical cancer. The best time to have your smear done is around 2 weeks into your menstrual cycle i.e. approximately midway between the date of your last period and the date of your next expected period. Our receptionists will try to fit you in around this time in an appointment slot which suits you. Cervical smears are undertaken by our practice nurses - not all of the nurses undertake smears so please make sure the receptionist is aware that your appointment is for a smear when you book it. The appointment takes 20 minutes. Results can take 2 or 3 months to return at busy times - you will be notified in writing about the results of your smear. If you think you should have heard and haven't then please contact the surgery and we will chase up your results. Please contact the surgery to arrange an appointment. Our travel clinic is run by Nurse Sarah who can provide advice and information regarding vaccinations according to your travel destination. For further details please click on Travel Information listed under the heading Further Information. GP Active Monitoring has been introduced into Clarence Medical Centre by Vale of Clwyd Mind as a pilot project since September 2016. They are aware that counselling services are stretched and some people require a ‘Listening Ear’ either instead of, or as a stopgap until counselling services are available. “Active Monitoring is a guided self-help programme that can help you with common mental health problems including stress, anxiety and depression. The Active Monitoring programme aims to increase your wellbeing, self-esteem and confidence and reduce the likelihood of needing further help with your mental health. Located at the Royal Alexandra Hospital Rhyl. Self referral available please ask at surgery reception for details. We also have an in-house Physiotherapist. Blood tests are undertaken by phlebotomists based at the Royal Alexandra Hospital in Rhyl. 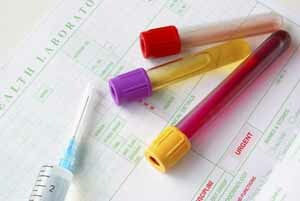 Blood tests are by appointment only and can be arranged by phoning 01978 318420 between 9am - 4pm. For strictly house-bound patients only we will arrange for a District Nurse to attend. There are limited appointments available at the surgery for blood tests. Please state that the appointment is for a blood test when you arrange - blood tests can only be undertaken on week-day mornings in order that the sample can be transported to the laboratory on the same day. When you have your blood test you will be given a slip outlining the tests you have had done, and how to get the results. It is your responsibility to contact the surgery for the result - please bear in mind that the results have to be sent to the surgery and reviewed by the doctor who requested them before the result can be given to you. To make it easier for patients we have a results system so that you do not need to make an appointment with the doctor just to get your test results - the doctor will leave sufficient instructions with the results line clerks to enable you to make sense of the results without the inconvenience of attending the surgery. The telephone number for the results line is 01745 333624. Please note, we are unable to provide the results of any tests that have been requested in secondary care. You will need to contact the secretary/department of the consultant who requested the test. For the first week of sickness you do not need a sicknote from your doctor. 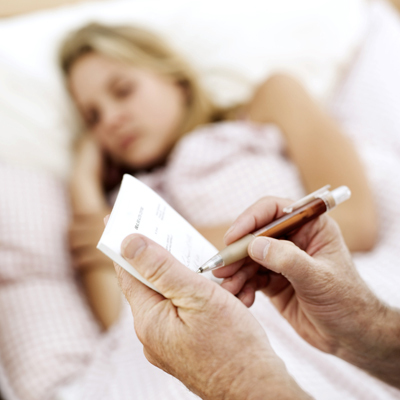 You can certify your sickness using a form, called 'SC2' available from your employer, or the benefits agency. After the first week you will need a sick note from your doctor. You will need to book an appointment by contacting reception. Unfortunately some employers insist on a sick note from a doctor even if you have been off work for less than 1 week. Providing a sick-note under these circumstances is not a legal requirement, and is not provided for by the NHS. Providing these notes takes your doctor away from providing valuable NHS services and as a result we have to charge for issuing private sick notes. 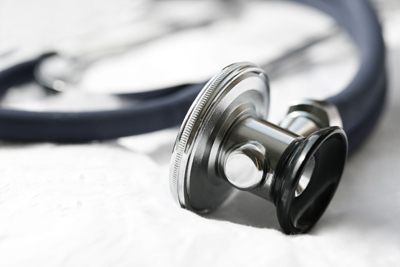 We are able to undertake private medical examinations in addition to the usual NHS medical examinations which are provided as standard for our patients. A summary of medicals provided are shown below. This list is not exhaustive - if you can't find what you are looking for please discuss your needs with our Senior Medical Secretary, Liz Howard (contact details below) who will be able to help you. To arrange a private medical please contact our Medicals Secretary who will be able to provide you with our list of current medical fees and book your medical:Telephone 01745 333620 after 2pm.